Well here’s and old one, in 2006 I was in London for the first time in my life, and I must admit that it’s a very cool city to stay in. 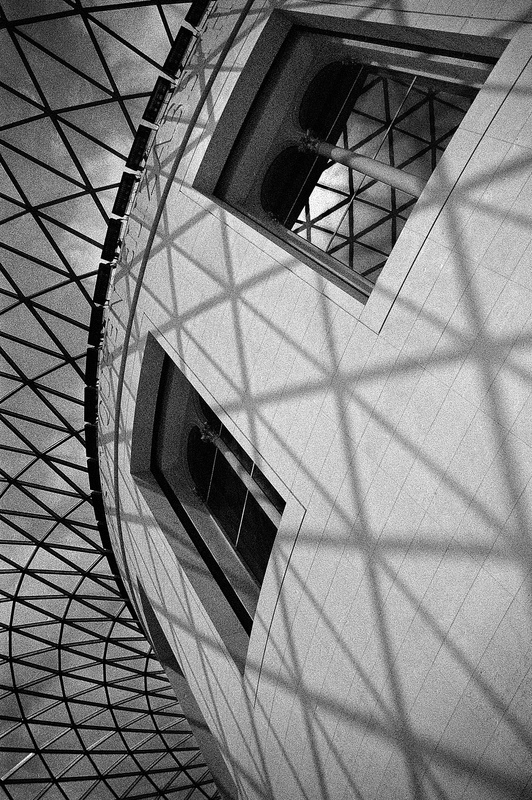 This photo is from the British museum, which it’s a really nice place to go shoot some photos, especially in the main hall which has some totally awesome architecture. Converted to black and white in Photoshop, added some contrast in order to make the shadows pop a bit more. And I also added a bit of grain in order to “hide” the noise caused by using a high ISO, the Nikon D70s wasn’t any good with compressing noise in the high end of the ISO scale. The Grid by Bo47 is licensed under a Creative Commons Attribution-NonCommercial-NoDerivatives 4.0 International License.